Professional service providers such as insurance agents, lawyers, architects, conservators, consultants and others who bill by the hour, project or maybe commission oriented need to be as efficient as possible in their practices. Time spent in scheduling, coordinating and reminding clients for appointments and especially missed appointments represent lost revenue opportunity. 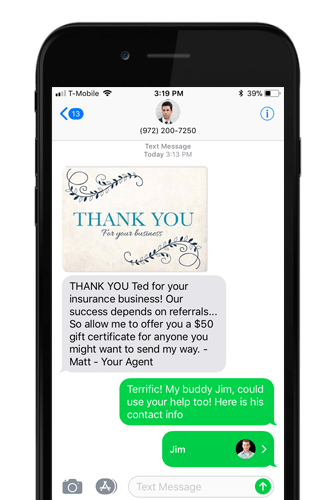 Textellent can help schedule and coordinate appointments, remind clients of project to-dos, send updates on projects, remind them of payments due and more. The two-way dialogue capability keeps track of all these conversations to allow for easy client coordination while reaching their clients where they do business. All the communication is logged for easy reference and keeping projects on track.